Labelled as one of the worst since 1924 by CM Pinarayi Vijayan, the rains in Kerala have rendered thousands of people homeless. Over 1,500 relief camps have had been set up across the state that currently house up to 2,23,139 people. With God’s havoc beginning to subside with each passing day, bits of the available transport infrastructure now being spared from actual flood relief and made available to end people’s misery. Acknowledging that the path to recovery can be arduous and long, the CM has urged all to contribute generously to the CM’s Distress Relief Fund. PM Narendra Modi announced a grant of Rs 500 crore, added to the Rs 100 crore declared by Home Minister Rajnath Singh. Apart from the PM Relief fund, various ministers of state, celebrities, officials and people from different walks of life have contributed money and various other essentials to provide relief to the flood-ravaged state. Multiple individuals and business people have also been donating monetary funds to aid in the relief work including NRI M A Yusuf Ali who donated Rs 5 crore. The recent 21-year-old student from Kerala, who was trolled earlier for selling fishes, Hanan also gave Rs 1.5 lakh towards the CM Relief Fund. Tamil Nadu political party known as DMK donated Rs 1 crore, as well. BJP MP Varun Gandhi also donated Rs 2 lakh and urged other politicians also to contribute. Attorney General K K Venugopal has given Rs 1 crore. Also, a Kerala pastor from Pathanamthitta district offered 25 percent of his land to bury those who lost their lives in the floods. Celebrities Kamal Hassan and Surya contributed Rs 25 lakh each while actor Sidharth urged people to donate to the KCMRF by participating in the #KeralaFloodRelief Challenge. Actor Dhanush also provided Rs 15 lakh while Vishal and Sivakarthikeyan offered Rs 10 lakh each. Tamil actor Vijay Sethupathi donated around Rs 25 lakh while actress Rohini donated Rs 2 lakh to the relief fund. Well-known Telugu actors Allu Arjun, Vijay Deverakonda, and Prabhaas have also given to the flood rescue efforts. According to recent reports, South superstar Rajinikanth has announced that he will donate around Rs 15 lakh while director Shankar has offered Rs 10 lakh for the Kerala flood victims. Amid all this, khelplayrummy.com had called all the high rollers to stand by them in supporting Kerala. KhelPlay Rummy ran the high-intensity rummy tournament where the total tournament amount rewarded was be doubled and then handed over to Kerala relief fund. The final donation amount from this tournament was Rs.  80725. 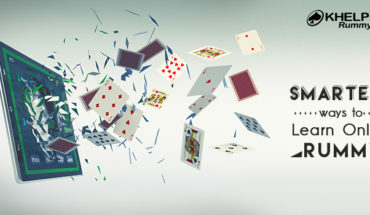 Various other online rummy sites are also in the process of launching the same in order to increase their traffic while upholding a humanitarian cause. 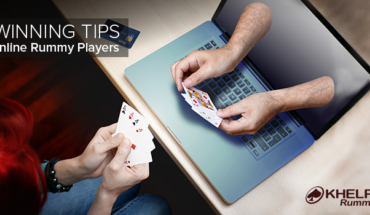 Even those who are novice players were urged to simply Google ‘how to play rummy’ to know more about the game so that their online play gets dubbed as a helping hand. For example, when 100 players joined the tournament, the site delivered the total amount of Rs. 1 lakh + Rs. 1 lakh to relief fund on behalf of players. A superb response was received and the Play For Kerala at tournament at KhelPlay Rummy was a massive success. 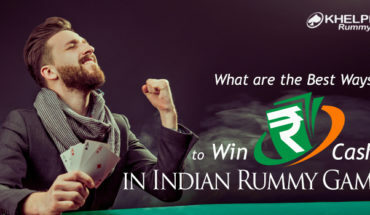 What are the Best Ways to Win Cash in Indian Rummy Games?